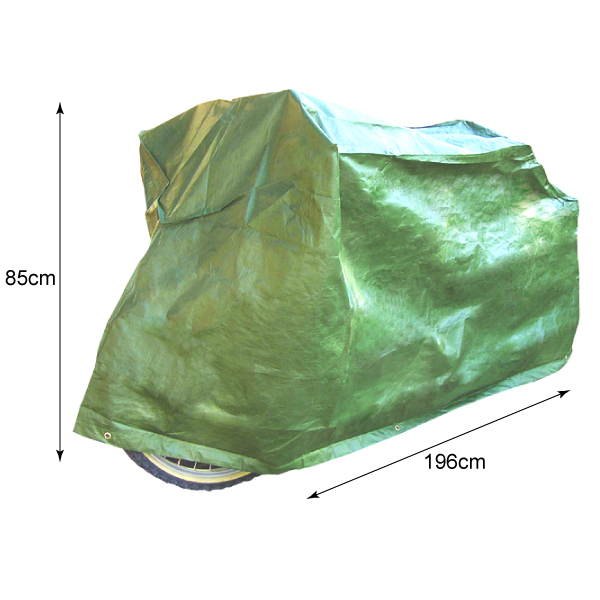 This bike Cover will keep your bike clean, dry and ready to ride. It will also help prevent corrosion and future maintenance problems. 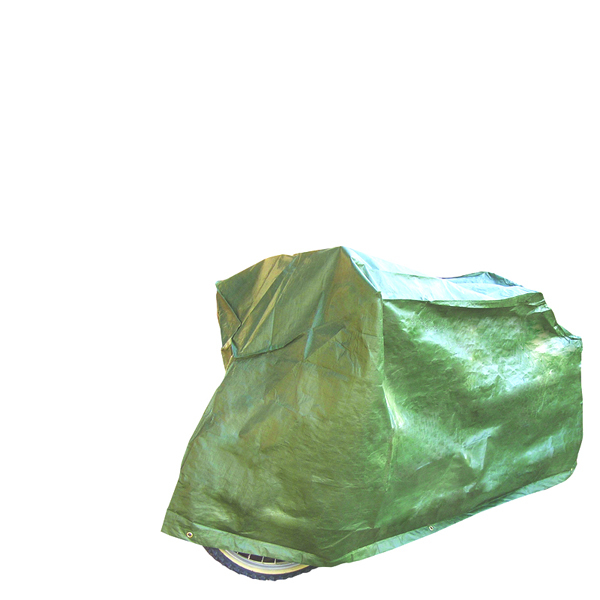 The cover is shaped to suit wide handle bars and is made from high quality polyethylene, U.V. stabilised for longer life, with brass coated eyelets and heavy duty ties and cord locks.